Why is Brazil so expensive? Brazil is by no means a cheap place to live. Especially for those working for minimum wage, which currently stands at BRL 954 – around USD 250 – per month. 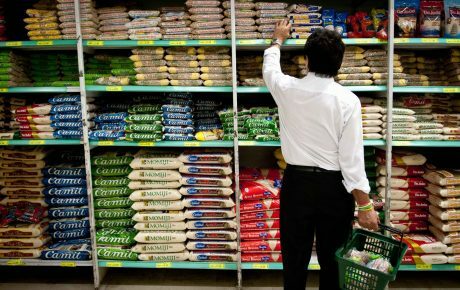 Price hikes in Brazil are explained by a multitude of reasons, from a sheer lack of infrastructure to high levels of taxation and corruption. All of these hurdles are simply referred to as the “Brazil cost,” and represent a major obstacle for competitiveness, investments, and consumption. But exactly how much does it cost to live and do business in Brazil? A British worker can pay for a jar of Nutella after 33 minutes of labor, while his Brazilian counterpart must work for 9 hours and 30 minutes to afford the same jar, InfoMoney reported. Exame magazine noted that when the iPhone X and Sony’s PlayStation 4 were launched, it would be less expensive to buy a roundtrip ticket to Miami and purchase the electronics there, rather than pay what was being asked by Brazilian stores. 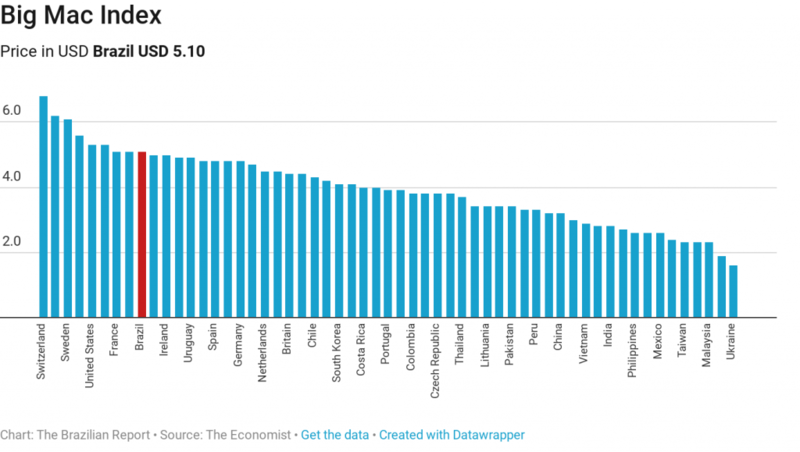 If you are looking for more robust academic evidence, the Big Mac Index is a light-hearted but widely accepted metric used to compare international prices – and the latest data compiled by The Economist is discouraging for Brazilian consumers, who pay USD 5.10 for the sandwich. 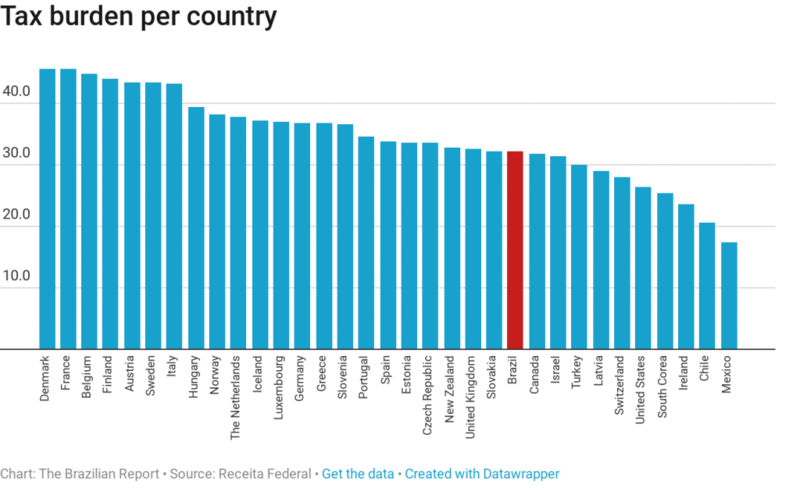 That places Brazil as the sixth-most expensive entry in a ranking of 58 countries, tied with Italy and France, and leaving behind places known for their high living costs, such as Denmark. Things don’t get any better when it comes to more essential goods, such as gas. 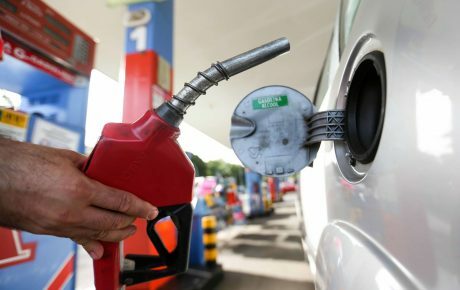 In the first quarter of 2018, Brazil ranked sixth out of 61 countries on the proportion of consumers’ wages which are spent on fuel. According to Bloomberg, Brazilian drivers use on average 203.43 liters a year, which eats up 2.5 percent of their salary. As you can see, there is no shortage of examples on how expensive life in Brazil can be. But why is that so? In short, the “Brazil cost” is the result of a complex combination of a lack of infrastructure and low productivity, which increase production costs, high interest rates, and taxes. 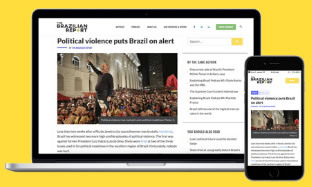 To make matters worse, Brazilian politicians are known for their short-sightedness and penchant for favoring organized lobbies – which drains vast sums of money every year. These problems prevent investments that could potentially solve most of the country’s deadlocks. Infrastructure is one of Brazil’s main bottlenecks. The country ranked 73rd out of 137 analyzed by the World Economic Forum’s (WEF) Global Competitiveness Report 2017-2018. When it came to the condition of roads, the mode of transport which dominates in Brazil, the country fell to 103rd place. The Brazilian Report has already shown how problems in that area hold back Brazil. In recent years, transportation accounted for nearly 60 percent of total logistics costs for businesses in the country, according to the WEF. 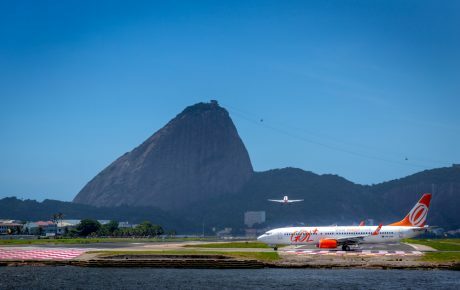 Brazil’s National Confederation of Transport (CNT) estimates that shipping companies alone lose BRL 2.5 million annually due to inadequacies in infrastructure. The consequences are immense. The association of soybean producers of the State of Mato Grosso estimates that while the average cost to transport grains in the United States is USD 25 per ton, in Brazil it can reach USD 150. No wonder freight prices are such a hot-button issue between truckers and producers. The problem could get even worse in the near future. As the country’s agricultural frontier expands towards the Northeast and North regions, the costs to transport produce all the way to consumer markets and ports in the Southeast are likely to become higher. The National Confederation of Industry (CNI) produced a report on the country’s competitiveness, comparing it to 17 other nations. In infrastructure and logistics, Brazil ranks 17th, behind economies such as India, Peru, and Mexico. But infrastructure does not only mean roads and railways for agribusiness production. Energy costs also play a big role in that sense, as they account for a large portion of industrial production costs. And Brazil underperforms in that aspect, too. According to CNI’s report, the country has the highest prices for industrial clients among the sample surveyed. Brazil is also internationally known for is its high tax burden. In 2016, local, state, and national taxes accounted for 32.1 percent of the country’s GDP, according to the latest available data. 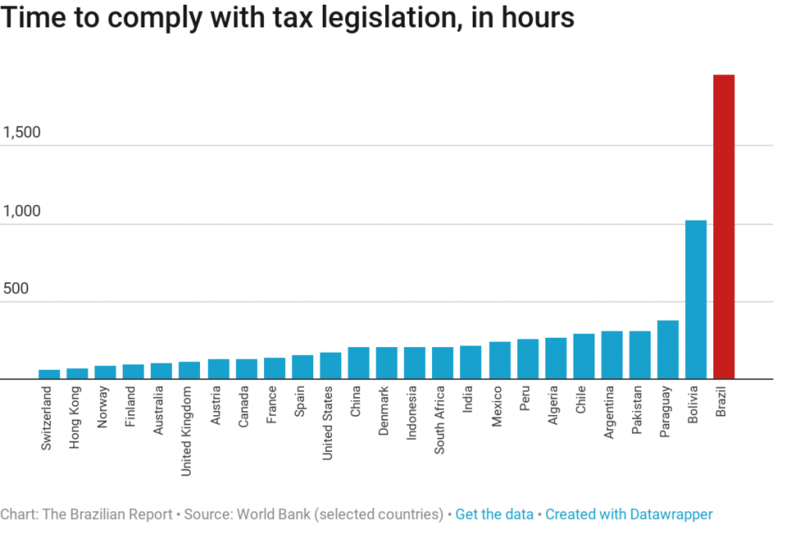 Brazil has the second-highest level of taxes in Latin America, below only the communist regime of Cuba, according to national tax authorities. The percentage is just below the 34.3 percent average of the 36 members of the Organization for Economic Co-operation and Development (OECD), an intergovernmental institution that congregates mostly developed countries. The striking difference is that Brazil taxes its citizens as if it were a nation of the global North, but does not provide services to the same extent nor with similar standards as its counterparts. Therefore, a large portion of Brazilian society is charged twice. Firstly via taxes, then by spending money on private services that should be provided by the state, from health insurance and private education to independent security equipment and on toll roads. As businesses also have to bear similar costs, the final prices of their products and services are affected. Also, CNI reports that, at 68.4 percent, the amount of taxes and contributions paid by companies measured as a percentage of their profits is far higher in Brazil than in most countries analyzed. The figure is three times larger than that measured in Canada, the top-ranked country. But the high level of taxation is not the only way tariffs and contributions lead to an increase in costs and prices. The complexity of the Brazilian tax system is a problem in itself. According to the World Bank, companies invest, every year, 1,958 hours – 8.2 times more than the world average – in order to comply with the country’s legislation. It is not rare for multinational companies to have their largest tax departments be located in Brazil, multiple executives have told José Ronaldo Souza Júnior, director of macroeconomic policy studies at the Brazilian Institute for Applied Economics (Ipea). He points out that despite all this investment in specialized lawyers and accountants, there still is the risk of a company being fined, given the tangled local, state, and federal rules which must be followed. Although Brazil’s benchmark rate was brought down to a historic low of 6.5 percent/year last March, the latest data from Brazil’s Central Bank shows that interest rates in the country remain high. The average rate on deals closed in May was 25 percent per year, 31.4 percent for families, and 15.8 percent for companies. This is already a lot by international standards, but it pales in comparison to credit cards, for which banks charge 311.9 percent from their Brazilian customers. A study from CNI highlights that the country had the highest interest rate and banking spread as of 2016. It is no surprise Brazil ranked last in the availability and cost of the capital segment. On top of this list, entrepreneurs also face other bumps along the way. Brazil’s business environment is tainted by bad practices, and the country’s legal grounds are often viewed as uncertain. Corruption is regularly referred to as one of the country’s most critical issues. Although Operation Car Wash has waged war against such practices, it still takes far too long to lock up corrupt politicians. In 2017, Brazil fell 17 positions in Transparency International’s corruption ranking, down to 96th. In Latin America, the situation is only worse in Mexico (135th) and Venezuela (169th). It is hard to reach a consensus on a figure, but losses owing to corruption in Brazil are estimated in the hundreds of billions annually. As Mr. Souza Júnior puts it, all this money is somehow incorporated into businesses’ investment decisions, resulting in pressure for higher prices. “Everything that is perceived as either costs or risks decreases the expected profit and affects the potential investments in the country,” he notes. The economist also mentions the country’s labor legislation as a factor that increases the “Brazil cost.” “Currently, an employer hires someone and does not know how much will be spent – this situation creates uncertainty,” he says, about the high level of labor lawsuits in Brazil. Souza Júnior argues, however, that the labor reform passed by Congress in July 2017 tackles this issue and is an attempt to provide more stability to the business environment. Also regarding the labor force’s role in the formation of prices in Brazil, it is mandatory to mention the low level of productivity in the country. 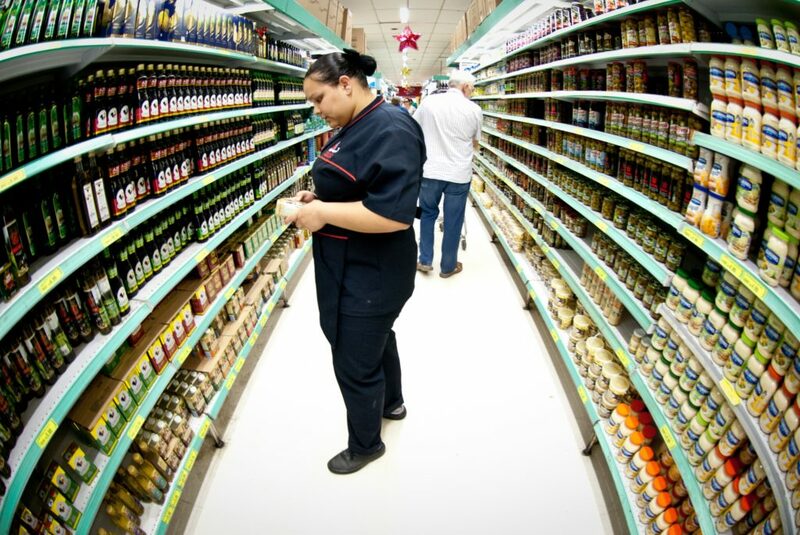 A study by Fundação Getulio Vargas, Latin America’s leading think tank, showed that a local employee produces, on average, USD 16.8 per hour worked. 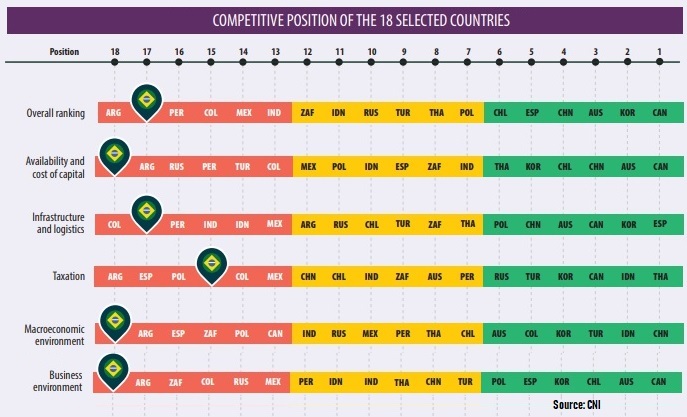 That places Brazilians in the 50th position in a ranking of 68 countries. In contrast, the first-placed Norwegian workers produce US$ 102.8 per hour. A lower-educated employee does not only generate less value, increasing the general cost of production, but also earns less and has a lower purchasing power, therefore limiting the potential demand in the market. This is a secondary, indirect way in which prices are kept at higher levels due to the inefficiency of the local labor force. If it is so complicated, why invest? Investments could be the solution for most of the bottlenecks mentioned above. They could provide the country with better infrastructure, reduce the cost of energy production and distribution, and increase productivity, either by improving worker’s capabilities or better equipping the factories. But they are an obstacle themselves. The high level of indebtedness limits the potential for public investment. 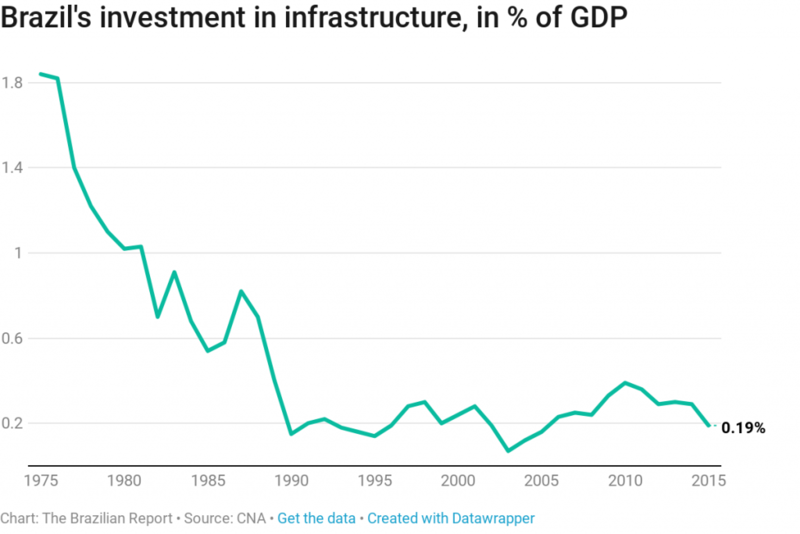 Over the past decade, the federal administration invested an average of 0.3 percent of the country’s GDP in infrastructure every year, while other exporting countries such as China, India, and Russia annually devoted about 10, 8, and 7 percent, respectively. 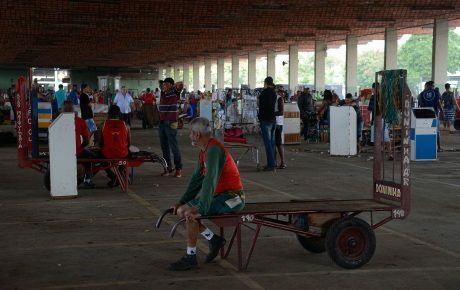 Data compiled by the National Agriculture Confederation also shows that the last time Brazil invested more than 1 percent of its GDP in infrastructure was in 1981, still under the military dictatorship. Last May, President Michel Temer relaunched a National Logistics Plan, in an attempt to lower Brazil’s dependence on trucks for cargo transportation. But with public accounts far from being rosy, partnerships with the private sector seem to be the only feasible way out. The problem is that the fiscal challenges faced by Brazil’s public sphere also echo in business enterprises in a sort of vicious cycle. After all, it was the increasing federal deficit that led to the several downgrades of the sovereign debt rating and consequently led to higher costs for financing and averted investments from abroad. The Brazilian Report has explained how this dynamic limits the potential for financial investments in the country. Mr. Souza Júnior believes it would be difficult to solve this problem in the short term. “It demands amendments to the Constitution, changes to be negotiated with the Congress,” he said, in reference to long-awaited pension reform and other measures to limit the government’s expenditure. So, if investments cannot be the easy way out, what could reduce the level of prices in Brazil? Economists in general point to fiscal discipline as the mandatory step to economic stability in the upcoming years. It all comes down to the pension reform, at first. An orthodox economic policy would be the necessary step to regain trust among international investors, increase capital inflows and unravel most of the country’s long-lasting structural issues. For Mr. Bentes, the solution has to do with the optimization of the Brazilian state. “There has to be a better use of every Real invested, so the outcomes are improved,” the economist suggests. According to him, not just the next president but the succeeding administrations will have to seek policies to increase the efficiency of public expenditure. Looking on the bright side, Mr. Souza Júnior highlights that the lack of infrastructure can represent investment opportunities with high returns that may attract private sector agents. “It is perfectly possible to start a long recovery process that could move the country forward. There are a lot of opportunities and a large consumer market,” he says. But for that to happen, macro and business environments must be attractive enough for private enterprises. Mr. Souza Júnior argues that this can be done with relatively simple decisions by the government. Presidential decrees or ministerial orders would be able to reshape the microenvironment and make it easier to invest in the country, making way for more substantial changes. However, this conventional route of fiscal discipline and investment attraction depends mostly on the outcome of the presidential elections in October. Therefore, it is not only about the economy, as it is commonly believed. Politics plays a vital role in this process – and no candidate so far has publicly committed to unpopular fiscal cuts that would certainly displease large portions of the electorate. On a more optimistic note, Bentes considers that most of the economists assisting the presidential pre-candidates have the same assessment of the circumstances: the fiscal situation cannot stay as it is. “It is mandatory to optimize the state, so it focuses on the basic needs of its citizens and creates conditions to attract investments, mainly international ones,” the economist evaluates. What is not a consensus between the different political platforms, though, is how to reach this so-called fiscal discipline. No matter the path the next president takes regarding all these deadlocks, it will take time for any new policy to have an impact on the prices paid by producers and consumers. In the meantime, Brazilian workers will have to live in a country in which price tags barely allow them to properly support their families. A study by Dieese, an economic research institute linked to union movements, estimates that the minimum wage in the country should be four times higher. Only earning BRL 3,697 a person would be able to provide a household of four with the basic rights enclosed in the Brazilian Constitution. Braga is a journalist from São Paulo. 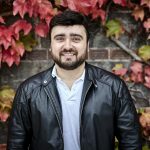 He is an Erasmus Mundus Journalism scholar pursuing his Master’s degree at Aarhus University (Denmark) and at the London’s City University. Brazil’s inflation is on the rise. When will it return to normal? How did Brazil’s inflation rate get so low?